The comments came during Adler’s punditry of the women’s singles second round match between Williams and Swiss opponent Stephanie Vögele, in which he described a “gorilla effect” tactic by Williams. “[Vögele] misses a first serve and Venus is all over her. You’ll see Venus move in and put the gorilla effect on her,” Adler said on ESPN during the second game of the second set. Former tennis pro Adler, 58, has since faced a backlash on social media, with many observers challenging the insensitivity of the comment. “This is some appalling stuff. Horrifying that the Williams sisters remain subjected to it still in 2017,” Rothenberg wrote. "Whether it was intended or not, people should know not to compare black people to African animals," Rothenberg told RTSport. "Sadly, there's a history of it happening with the Williamses in particular, and I'd hope that everyone would be aware of those very basic sensitivities by 2017." 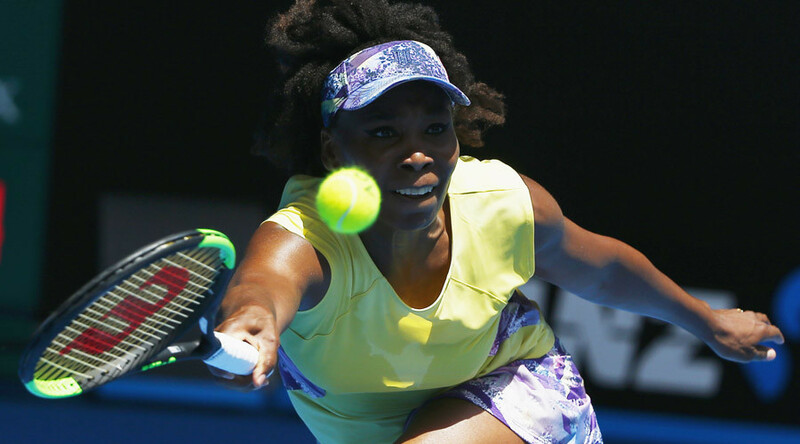 Seven-time grand slam winner and former world number one Venus is vying to win her maiden Australian Open title. The event is the first grand slam in the tennis calendar and is held every year in the last two weeks of January. Meanwhile there was a shock upset in the men's singles as Russian-born Uzbek world number 117 Denis Istomin toppled six-time Australian Open and former long-reigning world number one Novak Djokovic 7-6 (10-8), 5-7, 2-6, 7-6 (7-5), 6-4. “I feel sorry for Novak. I was playing so good today,” Istomin joked in his post-match interview.